Straw or no straw? This question has become the topic of debate in cities all around the world. 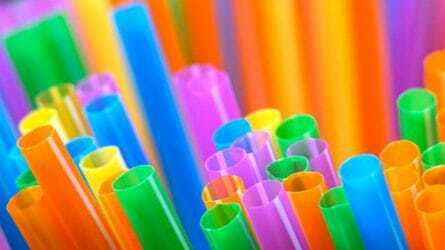 While there’s no denying that disposable plastic straws create issues for the environment, calls for an outright ban on them are problematic. To the average nondisabled person, a plastic straw seems like a nice-to-have accessory, but for many disabled people, plastic straws are a necessity. Straws are an access issue, because without them I wouldn’t even be able to take a drink of water in most public places. Sure, reusable straws exist, but arguing (as many people have) that those of us who need straws should take on the responsibility of carrying them everywhere misses the larger point. The reality is access is not a personal issue; it’s a societal issue. Accessibility is not an individual problem, but rather something everybody needs to be invested in. When I can’t get into a building because there’s no ramp, I’m not the problem. The building is the problem. It’s not on me to carry around a metal or wooden ramp, or magically learn to walk upstairs; it’s the building that needs to change. Everybody has access needs, but what most nondisabled people take for granted is that society is structured to meet their access needs without a second thought. Nobody would build a three-story building and forget to put the stairs in, because then that building would be inaccessible to nondisabled people who need the stairs to get from floor to floor. Yet, we still build buildings without ramps, nearly 30 years after the passage of the Americans with Disabilities Act (ADA), a law that guarantees equal access and civil rights for disabled people. We still expect disabled people to learn to fit into the nondisabled world, instead of coming up with better solutions for everyone. This brings me back to the issue of the plastic straw. Although it may seem like a little thing, outright banning plastic straws creates a massive access issue for thousands upon thousands of people. There are other ways to reduce our environmental impact when it comes to straws. Instead of banning them, perhaps we should require that they only be available upon request. That way we are reducing our environmental impact without hurting people who really need a plastic straw to be able to drink. Better yet, restaurants should be required to have reusable straws available for those who need them, which would be a systematic way of changing and reducing our impact without creating additional barriers for disabled people. I’m all for making our world more sustainable, but in doing so, we need to make sure we’re not making our world less accessible in the process. Karin Hitselberger is a DC-based writer and activist who holds degrees from the University of Miami in Coral Gables, FL and the University of Leeds in the United Kingdom. She blogs at Claiming Crip and Ceepstyle. Follow her on Facebook, Instagram, and Twitter. Plastic is becoming a large problem, many things are plastic, as far as straws.. I’m old as dirt and can recall when instead of plastic straws usually places had paper straws. Perhaps not do away complete with plastic but if they were to cost more then paper straws, perhaps paper straws would return. Thank you Karin, agree access is societies responsibility. Perhaps businesses could concentrate on a better recycling system of the straws to ensure straws are properly processed rather than making their way to polluting the earth. Not 100% sure I’d want reusable straws from a restaurant; they might be hard to sanitize.